Are you looking for a complete course in Modern Persian (Farsi) which takes you effortlessly from beginner to confident speaker? 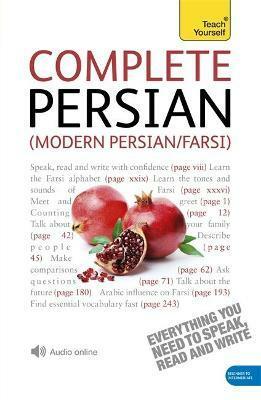 Whether you are starting from scratch, or are just out of practice, Complete Modern Persian (Farsi) will guarantee success! Extra online articles at: www.teachyourself.com to give you a richer understanding of the culture and history of Iran. Born in Iran, Narguess Farzad was educated in Tehran and the University of London where she is now a lecturer in Persian at the School of Oriental and African Studies (SOAS).